This book piqued my interest when I saw it on the stained oak shelf of my local bookstore. I had also seen it mentioned on Ted Hope’s Truly Free Film blog. I was expecting a typical how-to style book on community building around a product, artist, business or cause, and to an extent it is, but its also more than that. Instead of a “For Dummies” approach, I got a mirror to look into. Questions to pose to myself, a book on leadership, bravery and challenging the status quo. And while I didn’t learn anything new, it instilled a sense of urgency to make a difference in the world using what I’m already passionate about. Not in a self help kind of way, but in a call to action. Tribes reiterated the lessons of childhood fairy tales that we are told to forget about around age 18. “Its time to quit the band! Get a real job with a 401K and a benefits package!” Without the typical chapter structure, Seth Godin provides a lens to look at our own work. Whether that work is art, career, or family we can see the leader in ourselves and if we can’t, why? Have we become heretics as he puts it, or do we follow the easy way, the status quo? As a filmmaker and entrepreneur I sometimes struggle to find ways of getting my work out to the appropriate audience. Tribes didn’t tell me any particular actions to implement in order to get more exposer, but it did remind me of the real reasons I do my work and how passion can be a catalyst for change. 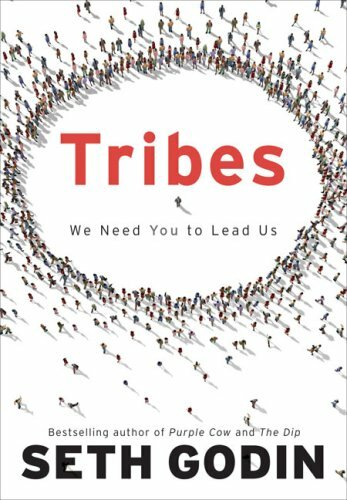 Forming tribes is not about what they can do for you but what you can do for them. I don’t make films for me, I make them for my tribe. Small as it may be my tribe helps me accomplish my passion. Tribes is about building relationships with people and leading them somewhere they need to go. They need us and we need them. Together we can build the heresy against the way things have always been but hasn’t always worked. In the film industry there is a protocol for doing things. Problem is if you don’t have millions or even a few hundred thousand dollars this protocol doesn’t work. My partner and I don’t have this kind of money, so we’ll be heretics! Anyone can change anything for any reason Seth is telling us. At the end of the book he encourages the reader to give the book to someone else. To pass along these heretic ideas. So that’s what I’m doing here. If you want change in your world, industry or community, start a tribe and start the heresy!